Carolos Linnaeus divided the world of living organisms into two kingdoms: animal kingdom and plant kingdom . There are millions of species of plants. They vary from small size to a large size. On the basis of presence or absence of flowers, all the plants are divided into two major sub-kingdoms: cryptogams and phanerogams. They are promitive and somplest plants without flowers. They are On the basis of appearance and stage of development, cryptogams are divided into three divisions. They are: Thallophyta, bryophyta and pteridophyta. 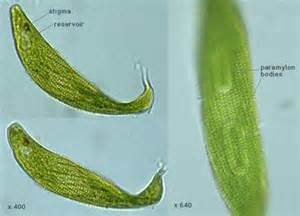 Thallophytes may be unicellular or multicellular plants. The plant body is not differentiated into root, stem and leaves. They reproduce both by asexual and sexual method. Thallophyta is divided into two sub-divisions. They are algae and fungi. 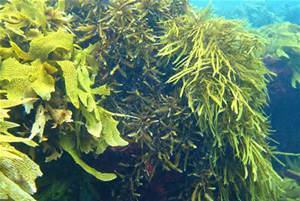 Mostly, algae are usually aquatic but few are grown in moist soil. They contain chlorophyll, so they can prepare their food. The cell wall of plants is made up of cellulose. They store food in the form of starch. Reproduction takes place by vegetative, asexual and sexual method. Examples: spirogyra, sea-weeds, volvox, etc. They are grown in damp, moist and dark places. They cannot make their own food due to absence of chlorophyll. The fungi consist of network of mycelium which consists of thread like structures called hyphae. They store food in the form of glycogen, and oil globules. They reproduce by vegetative, asexual and sexual method. Examples: mushroom, mucor, yeast, ring worm etc. They are grown in damp, moist and shady places. They contain chlorophyll so they are autotrophic. They need water for fertilization so they are also called amphibian plants. They show distinct alternation of generation in their life cycle. They are mostly found in moist, shady and cool places. Plant body is differentiated into roots, stem and leaves. They are vascular plants and bear feather like leaves. They are well developed among all non-flowering plants. 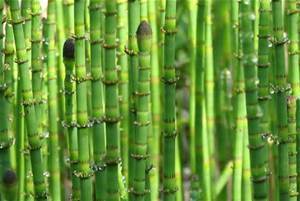 Examples: fern, horsetail, paniamala etc. Plant kingdom includes all the unicellular and multicellular plants. Cryptogams are primitive and simplest plants while all kinds of flowering plants are called phanerogams. 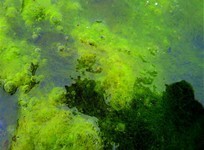 Algae include all those thallophytes which contain green pigment as chlorophyll. Fungi include those thallophytes in which chlorophyll is absent. Bryophyta is a group of simplest land green plants. Name the major groups of plant kingdom? What are cryptogams? In how many divisions it is divided? Write its name. What are the characteristic features of cryptogams? i) They do not bear flower and seed. ii) They are lower plants. iii) They reproduce by both a sexual and asexual methods. iv) They may be unicellular or multicellular. v) Their mode of nutrition is autotrophic or heterotrophic. State any three distinguishing features of Thallophyta division. i) The plant body is not differentiated into roots, stems and leaves. ii) They may be unicellular or multicellular. iii) They are autotrophic or heterotrophic. Distinguish between algae and fungi. i) Algae are autotrophic. i) Fungi are heterotrophic. ii) The cell wall is made up of cellulose. ii) The cell wall or hyphae wall is of fungal cellulose or chitin. iii) They reproduce both by sexually and asexually. iii) Reproduction is by formation of spores and sexual method. What do you mean by autotroph and heterotroph? The plants which prepare their own food are known as autotroph. The plant which does not prepare their own food is known as heterotroph. Write the subdivision of following organisms and state any two of characteristics. i) It prepares food itself due to presence of chlorophyll. ii) It is mostly aquatic, only few species are terrestrial. ii) They obtain their nutrition as saprophytes or parasites. Why are the bryophytes called amphibians of plant kingdom? 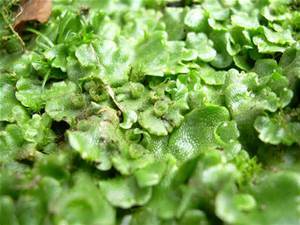 A thin film of water is necessary for fertilization in bryophyte. The moisture should be available for a least part of year so that motile antherzoids may swim to the archegonium through a film of water. So, water is necessary for the completion life cycle through the plants grow on land. Thus, the bryophytes are called amphibians of plant kingdom. What are the three features of bryophyte? i) They show alternation of generation with gametophyte as main generation. ii) They are found in moist and shady places. iii) They prepare their own food due to the presence of chlorophyll. State any three characteristics of pteridophyta with examples. ii) They possess xylem and phloem tissues. e.g. fern, horse tail, lycopodium, selaginnellia, equisetum etc. 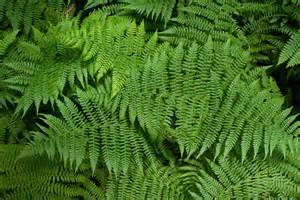 Why are pteridophytes more advanced than Bryophytes? a) Plant body is well developed into root, stem and leaves. b) Pteridophytes possess vascular tissues: xylem and phloem. State division of the following organisms. Mucor, horse tail, lycopodium, yeast, chalydomonas, riccia, ulothrix, ferns, liverworts. Distinguish between moss and fern. It falls on bryophyta division. It falls on pteridophyta division. It does not contain xylem and phloem tissues. It contains xylem and phloem tissues. Write any two importance of fern plant. i) They can be used in decorative purposes. ii) They are used as medicinal herbs. Riccia, Volvox, Mushroom, Marchantia, Horse tail, Spirogyra, Marsilca. Thallophyta is divided into two sub-divisions. They are ______. Cryptogams as a group differ from bryophytes in the ______. Heterospory is production of ______. Fern stele is a ______. Which one is reproduction takes place by vegetative, asexual and sexual method? Any Questions on 'Plant Kingdom '?